Laurentiu Damian graduated from “I.L Caragiale” University of Theatre and Cinema, in screenwriting and direction. Afterwards he specialised in documentary and TV films in Romania and abroad. At the present time, he is a professor doctor of UNATC; and he also leads the International Relations department of the University. He is the author of more than 600 articles in specialised magazines on the subject of the cinema history and aesthetics. He also directed more than 100 documentary films, short films and features, as well as experimental cinema, for which he has received important awards. One of his best known films is Constantin Brancusi - Coloana sau lectia despre infinit/Constantin Brancusi. His column – a lesson about infinity (prize winner in Montreal). Laurentiu Damian was a presenter for the TVR Cultural show Romanian film – generations, poetics, auteurs. 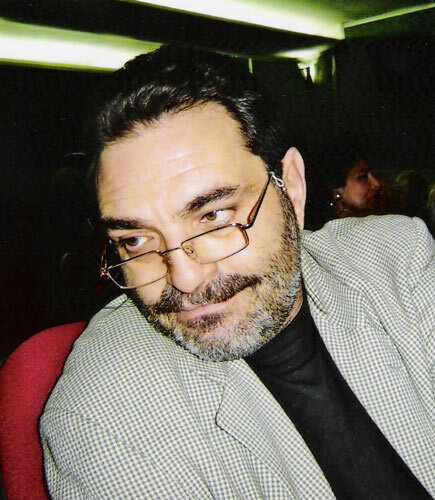 Laurentiu Damian teaches film direction and screenwriting, and is a PhD course leader. In October 2011, he started a new show dedicated to Romanian documentary film: About documentaries... something more, a show about generations of film- makers, films of reference, and the history of a genre with strong roots in Romania. In the autumn of 2013, he began a new series of art- house cinema, on the TVR 2 channel. He directed more than 100 documentary films, short films and features, for which he has received important awards.